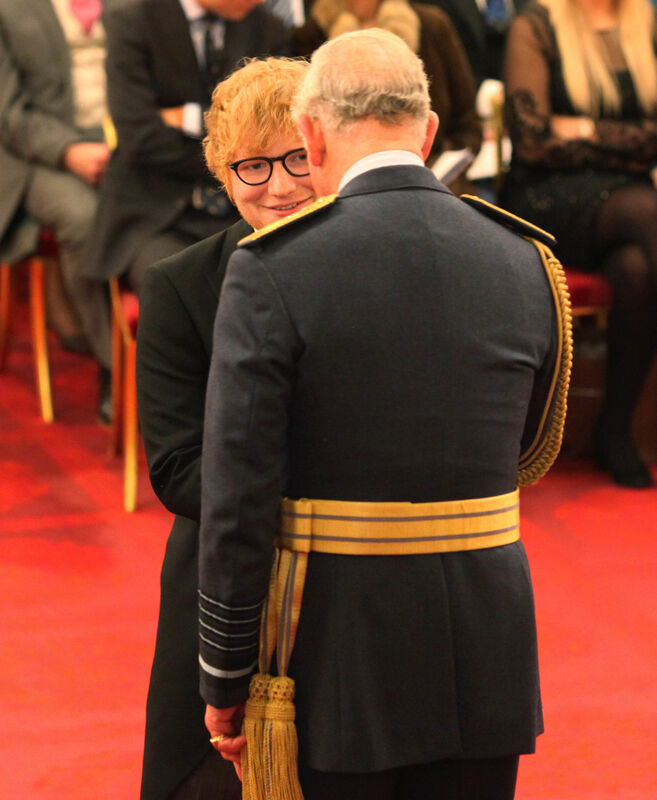 2017 has certainly been Ed Sheeran’s year, aside from his questionable cameo in HBO’s Game of Thrones, but let’s ignore that bit because he’s just got an MBE. He’s just been named the most-streamed artist of the year and has played a part in numerous charitable causes. But the cherry on the cake of his 2017 is the MBE just awarded to him by Prince Charles at Buckingham Palace today. 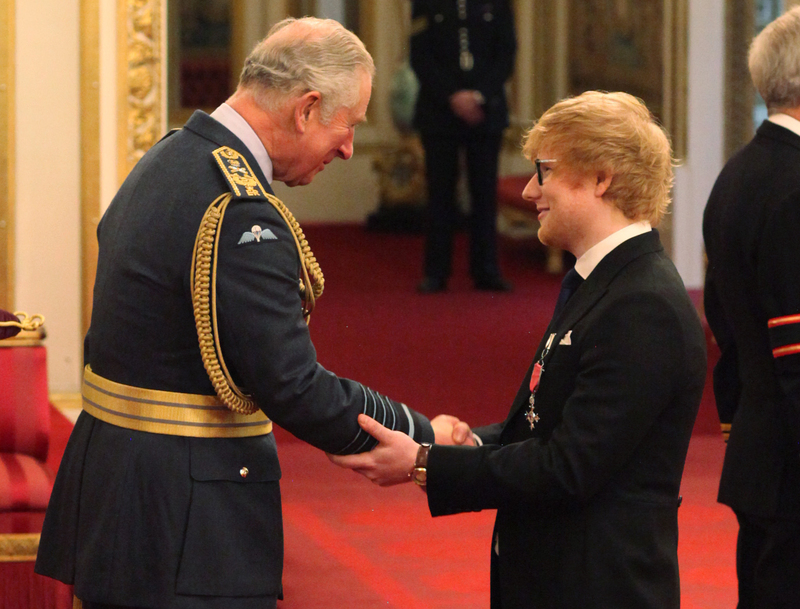 The day was a special one for the singer-songwriter, because his late grandfather was a self-avowed royalist, according to the BBC. My grandfather was a massive royalist. He had all the commemorative plates and stuff, and he died on this day four years ago, so it’s actually quite a nice full circle thing, I guess he’d be pretty proud. 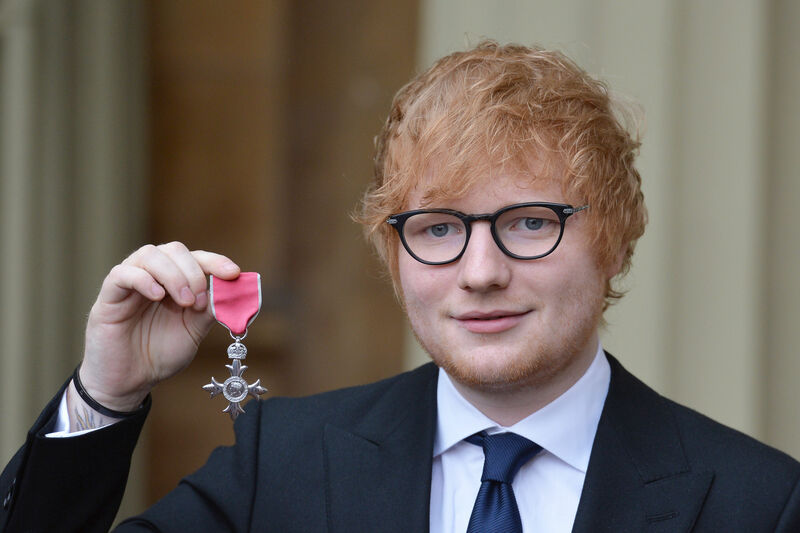 Ed was asked at the ceremony whether he would be up for playing at the upcoming royal wedding between Prince Harry and Meghan Markle next year. The Prince of Wales was impressed with the superstar’s busy schedule, especially because he’s playing a gig in New York tomorrow, just one day after the ceremony. He was asking me if I was still selling lots of records and I told him I’ve got a concert in New York tomorrow, and he was quite surprised I was flying after this. Asked about why he’s become so successful, Ed was characteristically modest about his talent. I think it’s persistence. I don’t have a vast amount of talent compared to other people, I think talent is like 30 per cent of it and persistence, drive and self belief are the other ones, which I guess are all the same thing. 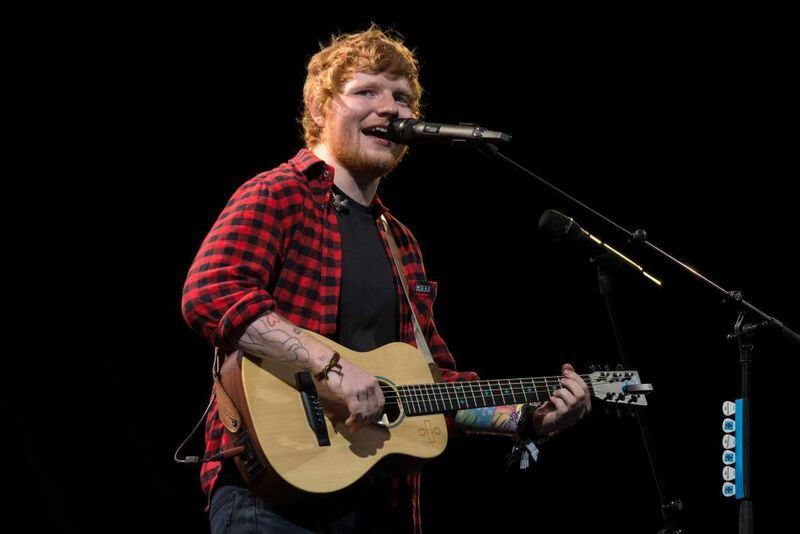 Ed’s career has gone from strength to strength in recent years, but when he was seemingly at the top of his game back in October 2015, he announced a year-long hiatus from the super stardom which he achieved. He opened up about his time away from the music industry back in October and revealed he took the break to deal with substance abuse. 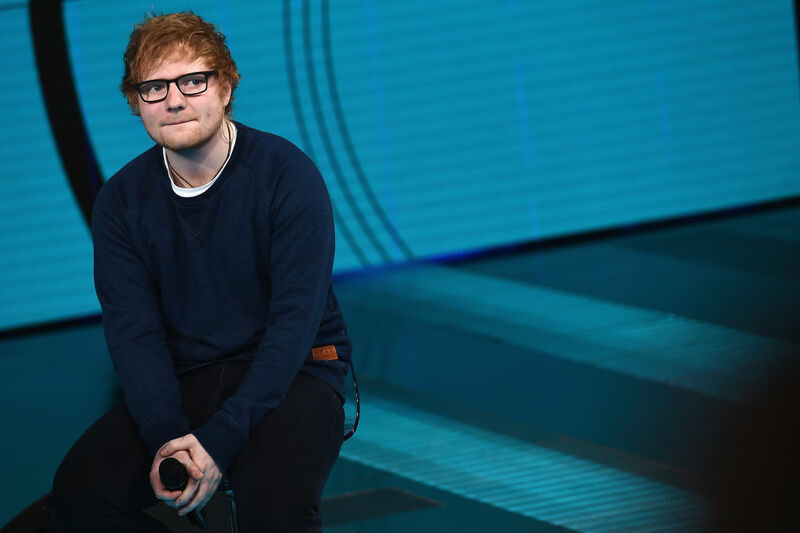 The award-winning musician opened up about his struggles on an episode of The Jonathan Ross Show, telling Ross how his problems stemmed from his difficulty in coping with his new-found fame. I think you need to, when you get into the industry, adjust to it – and I didn’t adjust because I was constantly working on tour. And all the pitfalls that people read about, I just found myself slipping into all of them. Mostly, like, substance abuse. I never touched anything. I started slipping into it and that’s why I took a year off and buggered off. It’s all fun to begin with, it all starts off as a party and then you’re doing it on your own and it’s not, so that was a wake-up call. 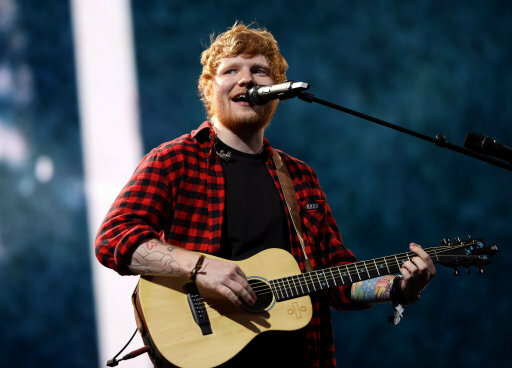 Ed revealed the substance abuse was beginning to take a toll on his creative output, as he couldn’t work when ‘under the influence’. He’s come a long way since then and his music is as amazing as ever, so it’s good to see him killing life again.